When the face hugger latches on, there’s nothing you can do but wait for an unexpected birth. Imagine if you could create the experience every single day of you’re life? First, you need a dog. Go and get one. 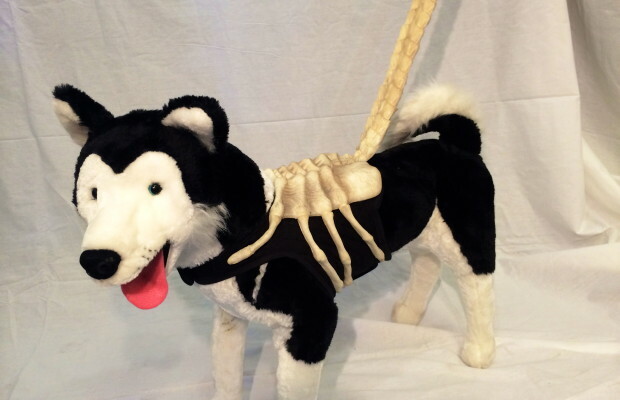 Now, head over to eBay and purchase the “Alien Face Hugger dog leash with harness.” It’s expensive, but it’s one-of-a-kind, and totally worth it. The leash connects with velcro around the neck and chest of the dog securing the Face Hugger to your pets back. The alien is made of foam and airbrush painted, the harness is a light weight but durable mesh. The leash is hidden within the tail of the alien and ends with a loops for easy walking. You are officially the coolest person alive. Send me photos.